Bee Careful! Already endangered bees face a fresh threat. As if they didn’t have enough problems. Garden-friendly bees hit by yet another blow. If you’ve noticed fewer bees in your garden in recent growing seasons, you’re not alone. 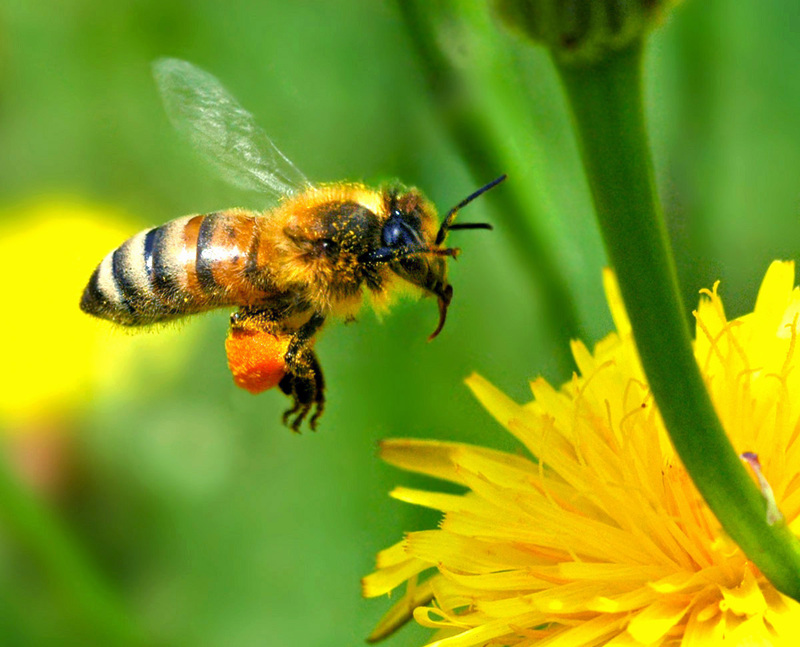 Our busy little friends are having a hard time of it due to a host of factors, including parasites, chemical pesticides, deforestation and so-called Colony Collapse Disorder, a mysterious malady that kills honeybees en masse—it may be linked to all of the above. Scientists are now pointing a finger at another potential cause of their troubling disappearance: diesel engine exhaust fumes. According to a study published this month in the journal Scientific Reports, researchers at the University of Southampton in England believe that airborne gases in diesel pollution could interfere with bees’ ability to find flowers by snuffing out the chemical messages they receive from floral scents while searching for pollen and nectar. Honeybees, bumblebees and solitary bees are vital to agriculture, pollinating one-third of the fruits, vegetables and nuts eaten in the U.S. and play a major role in 35 percent of global crop production. For those seeking to help the bees, the official Web site of Queen of the Sun, an award-winning documentary about the bee crisis, provides ten ways to make a difference. So even if you’re not quite ready to become a beekeeper, there’s no reason you can’t do your part to ensure they’ll still be around for the future. This entry was posted in Attract Bees, Uncategorized and tagged attract bees, bee crisis, bee shortage, bees garden, bees gardening, bees in the garden, colony collapse, honeybees, Queen of the Sun. Bookmark the permalink. Thanks for the latest update re challenges facing pollinators… and what a stunning photo! We seem to be surrounded by bees, here. There are hives in three of our hollow trees, on just 30 acres.